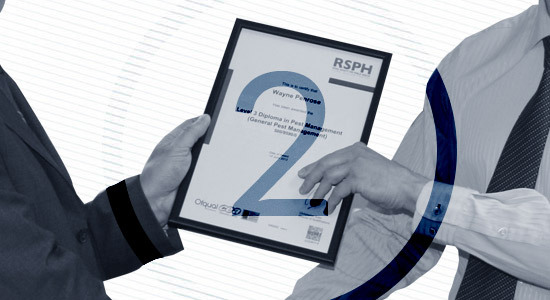 The RSPH Level 2 in Pest Management is designed to provide a good grounding in pest control and would provide the necessary practical skills for new entrants into the profession to start to carry out pest management activities safely and effectively. The RSPH Level 3 Award in Pest Management is for pest control technicians who wish to progress within the industry. The qualification will enable pest controllers to demonstrate their advanced knowledge and expertise in pest control.